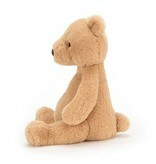 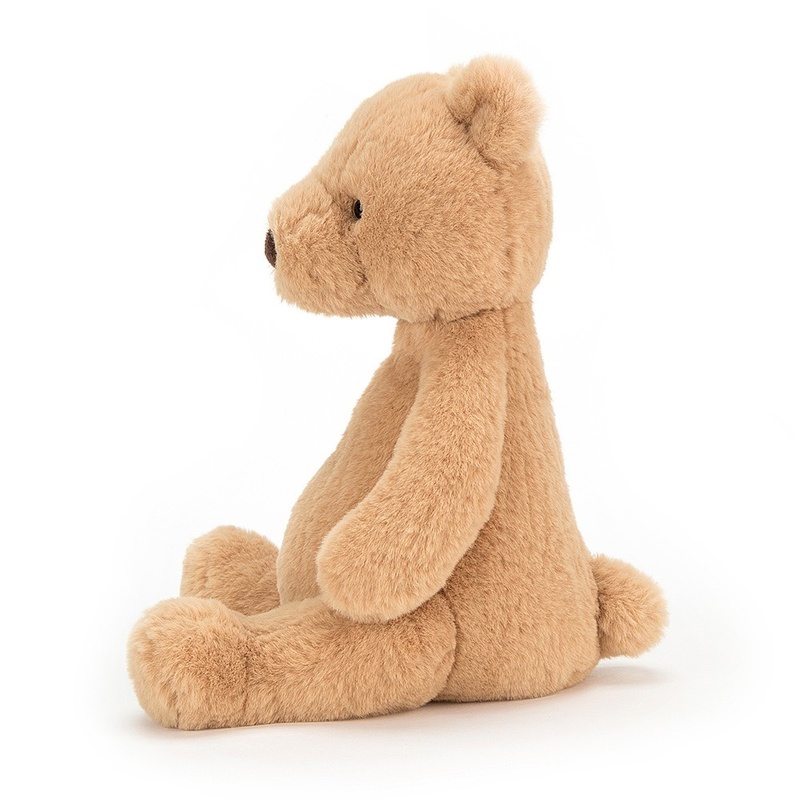 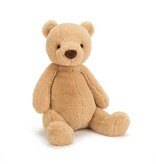 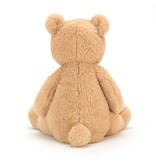 Puffles Bear is such a timeless sweetie, with short oatmeal fur and a chocolate-drop nose. 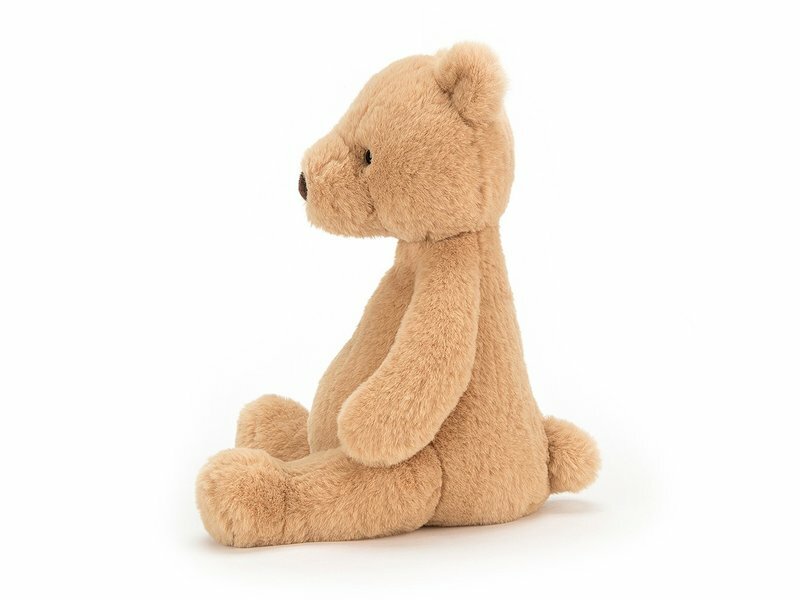 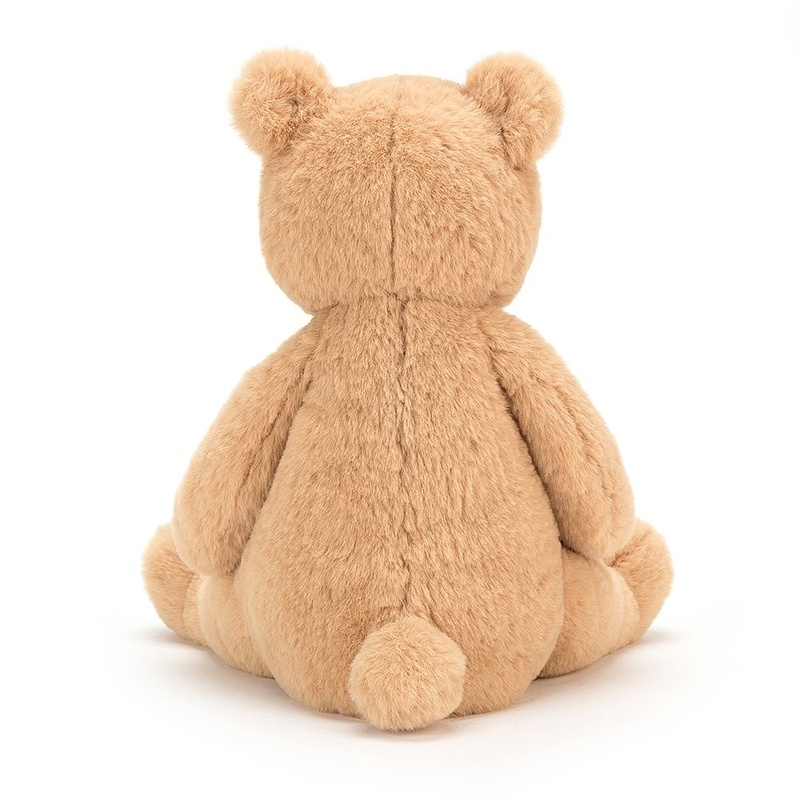 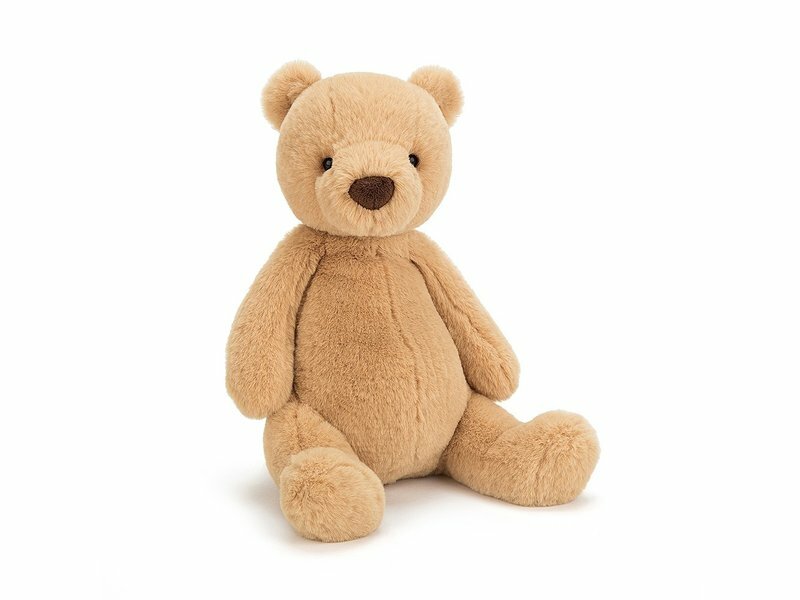 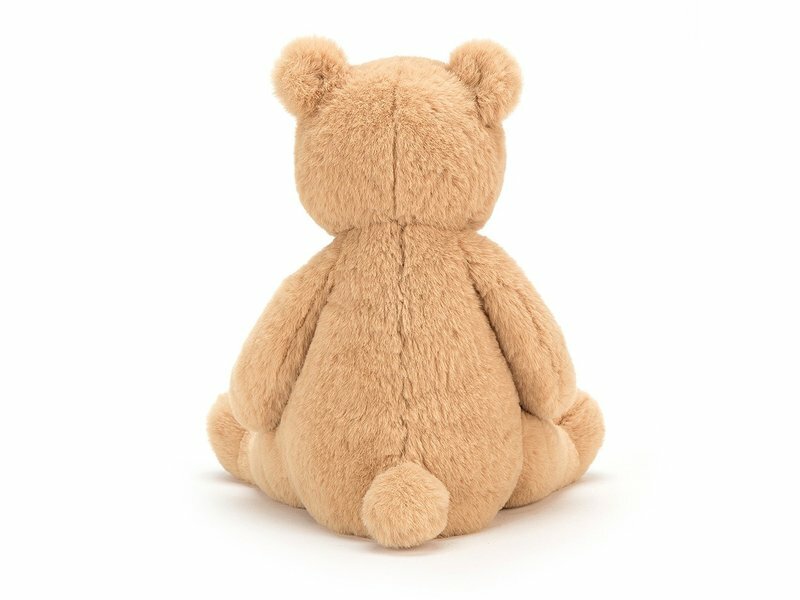 With bright shiny eyes, perky ears and super squeezable limbs, this beautiful bear makes a gorgeous first gift for any cuddle fan. 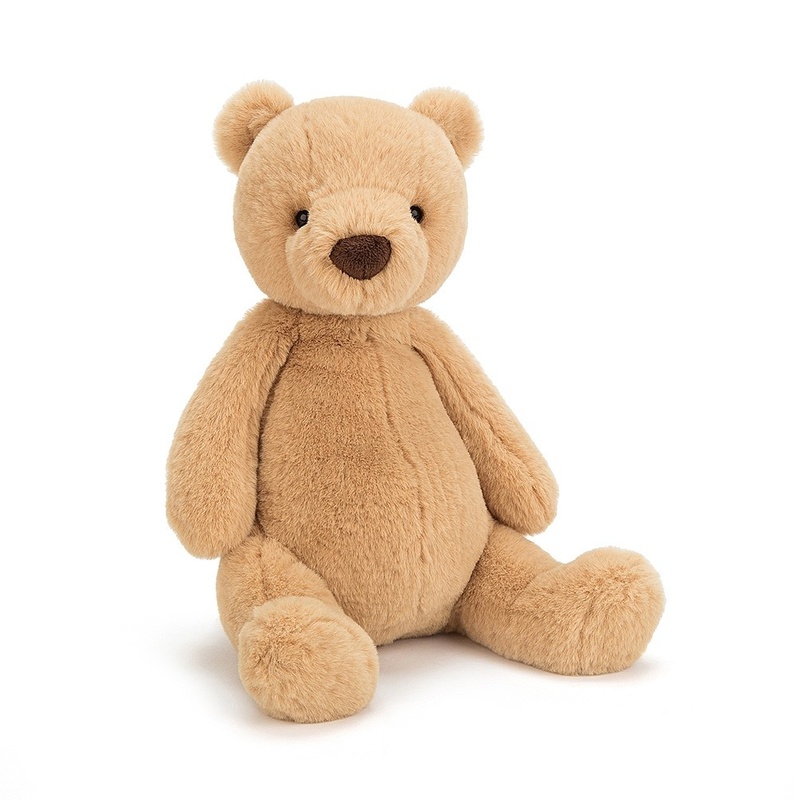 This soft-hearted pal brings honey-sweet dreams and plenty of vintage hugs.